Great! Like we didn’t know this would be the outcome of an unprovoked US attack on Syrian forces, which are backed by Russia. Way to go, Mr. President! 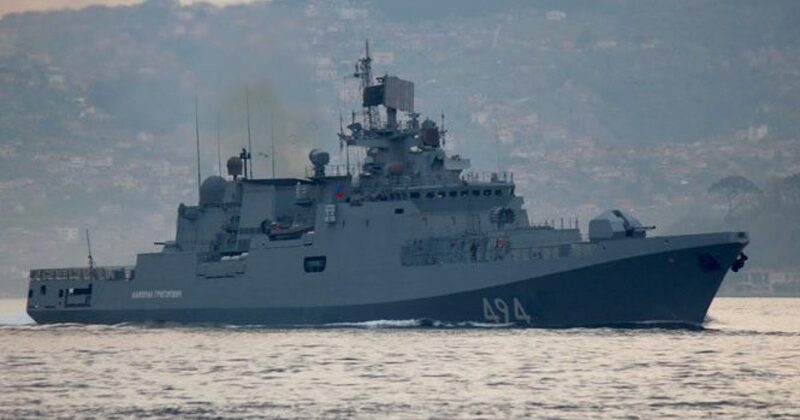 The Russian frigate, Admiral Grigorovich RFS-494 (pictured above), crossed through the Bosphorus Strait “a few hours ago” from the Black Sea, according to a U.S. defense official. The U.S. struck a Syrian airbase in retaliation for this week’s gruesome chemical weapons attack against civilians, including infants and small children, military officials said.